Not so long ago reapper (with my little help) have released his Sith Stalker armor mod. It’s great, but only for TSL. And many people would like to see this armor in K1. 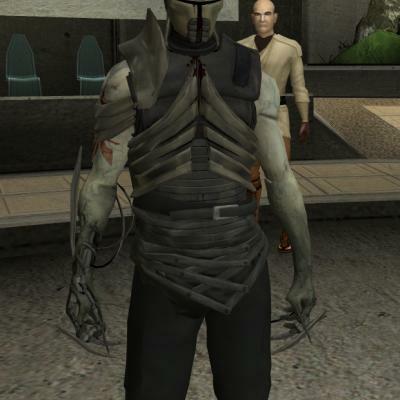 So, this mod will add TFU Sith Stalker armor to the first KotOR game. I didn’t integrated it into storyline, so you’ll have to use cheats to get it. Just type ‘giveitem dm_sith_stlk’ (without quotes) in your console and enjoy.